Worried about food puzzles being messy? Stationary toys can be helpful and sometimes a bit more tidy for some families. This puzzle is quite easy and excellent for those cats that are just learning to work for their food. If you need to increase the challenge you can add foraging ping-pong balls from Fundamentally Feline (also available in store here at PWC!) to this toy. 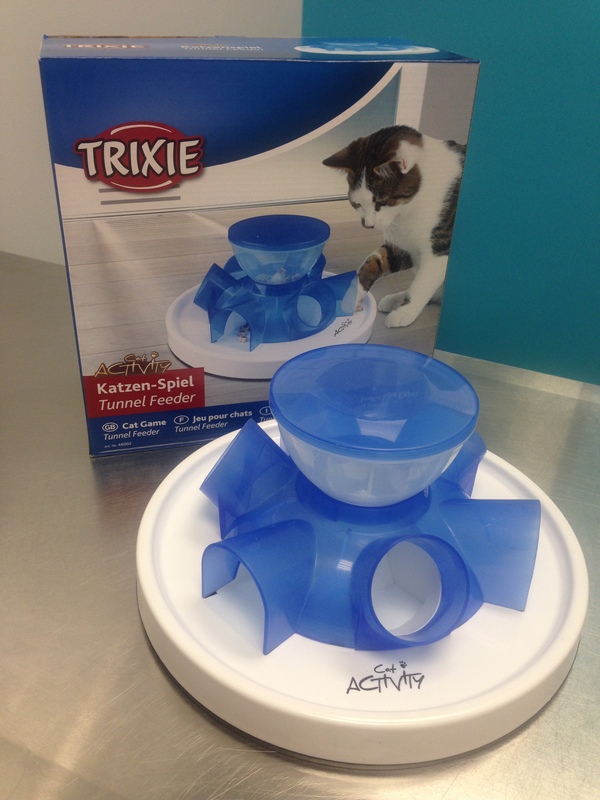 Simply fill the ping-pongs and place them in the tunnels so that your cat has to spin the food out of the ball and then drag it out of the tunnel. This can significantly increase the challenge. Alternatively, filling the tunnels with other toys such as balls and mice can obstruct the openings increasing the challenge in a similar way. Great beginner stationary foraging toy.